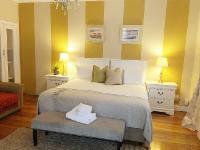 Musgrave Avenue Guest Lodge is a renovated Georgian style building offering affordable self-catering accommodation in Durban. A tasty breakfast is also available by arrangement. We are located only a walk away from the popular Musgrave Shopping Mall and 5 Minutes-drive to the Durban CBD and the beaches. 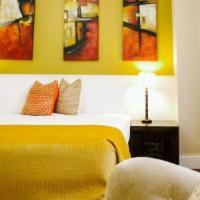 We have tastefully decorated and spacious apartments, some of which come with exclusive lounges. Each apartment is designed and decorated differently from others e.g. Garden studio, Garden Loft, Superior Suite & Family Suite.All the apartments include air-conditioning, fans, clean bed linen and bath towels, and a safe for valuables. Onsite facilities include a common garden area, braai facilities, and secure off street parking (+-20m from the property). Musgrave Avenue Guest Lodge is 2.4km from the centre of Durban , the nearest airport 29.3km (King Shaka International Airport).